Tynemouth Castle and Priory on the coast of North East England was once one of the largest fortified areas in England. Overlooking the North Sea and the River Tyne, it dominates the headland. With its 2000 year history and beautiful views it is the perfect location for a family fun day out. A popular spot to enjoy seaside fish and chips with a view and great location to have a picnic, lie back and enjoy the sea air. 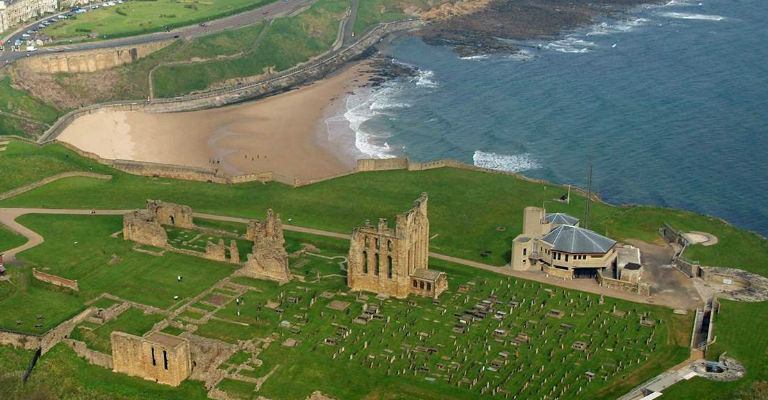 Discover Tynemouth’s story of the site from its original beginnings as an Anglo-Saxon settlement, an Anglican monastery, a royal castle, artillery fort and a coastal defence. The gun battery built underground into the cliffs was designed to defend the Tyne in the First and Second World Wars.